When we shared a first peek at Mystic Manor in Hong Kong Disneyland, I know many Disney Parks Blog readers immediately added it to their “must do” list – me too. Today, there’s even more to share. Walt Disney Imagineering’s creative executive Joe Lanzisero is taking us on a behind-the-scenes tour of Lord Henry’s stately Victorian mansion. Along with an amazing soundtrack, the attraction features a trackless ride system and combines innovative special effects, state-of-the-art technology and Disney storytelling to create an immersive experience. Mystic Manor opened on May 17 so you can now tour Lord Henry’s home yourself by boarding his latest invention – the “Mystic Magneto-Electric Carriage.” But be sure to keep an eye open for Albert, Lord Henry’s pet monkey, because when he opens a peculiar music box in the museum, all of Mystic Manor’s contents magically come to life. This ride and this land is FABULOUS! As a Magic Access member in HK Disneyland I was lucky enough to win a lucky draw to go to Mystic Point for a sneak peek back in April. Then I also won a “Meet the Masterminds” experience where Joe Lanzisero and Danny Elfman were the featured speakers! They were so interesting to listen to. Joe explained that with the coming of the Disney Resort in Shanghai, they really wanted to give HK something special and unique. In addition, (and this is me speaking and not Joe), in Chinese culture, a “Haunted Mansion” type attraction wouldn’t be viewed the same way as westerners view it. The restaurant is the best in the park in my opinion … I can’t wait to go back! 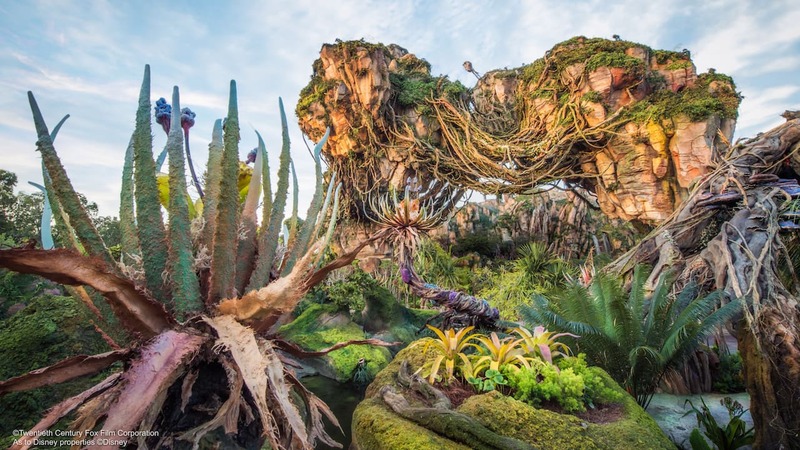 Disney Imagineers are great and this attraction looks super cool!! I’m wishing for it to come to either Disneyland or Walt Disney World here in the U.S. since I sincerly doubt that I will ever get to Hong Kong….but I can wish for that too I guess. The Manor itself looks amazing but what I think really makes it spectacular is the expansive area you see as you walk through the gate! Fabulous! The music really intrigues me because it is the creation of one of my favorite composers, Danny Elfman! Growing up in SoCal I had many the opportunity to see Danny front his band Oingo Boingo. He is an amazing musical talent! I look forward to visiting this attraction someday! Any word on why Hong Kong is getting this ride, as opposed to a version of the Haunted Mansion?